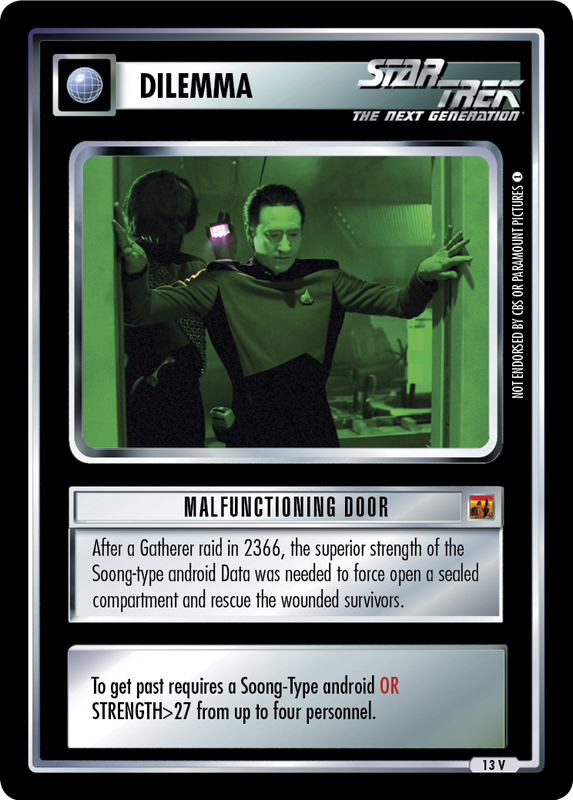 At times, Away Teams must open obstructed doors in confined passageways by hand, as did Lt. Commander Data on stardate 41503.7. 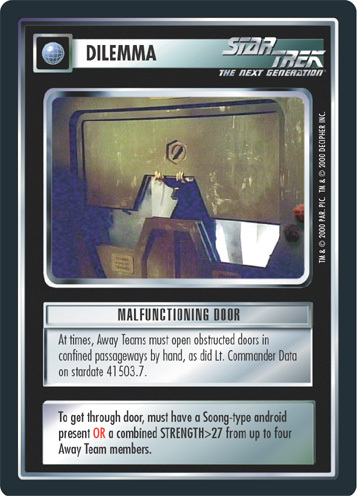 To get through door, must have Soong-Type Android present OR a combined STRENGTH>27 from up to four Away Team members.